As a cannabis consumer first and a cannabis industry insider second, I know many cannabis purchasing decisions come down to dollars and cents. Sometimes, however, quality cannabis can be found smack-dab in the middle of that golden ratio of potency and price. 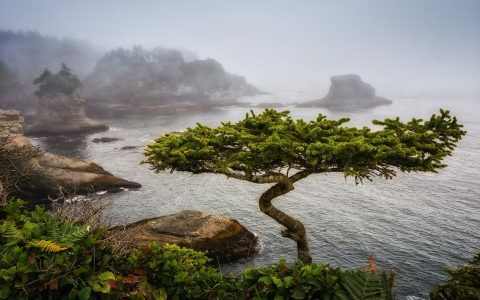 The first round of Leafly’s Top THC-Dominant Cannabis Strains in Washington state gave us a chance to compare several brands of varying size and renown on the basis of quality and craftsmanship. 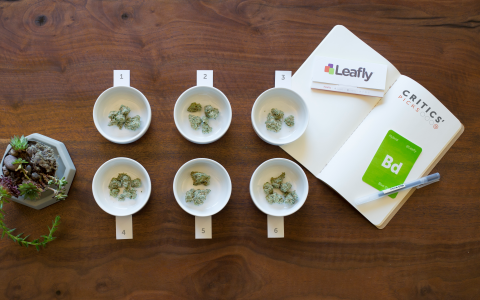 This blind tasting allowed the flowers to do the talking, but the data behind each strain had its own story to tell. 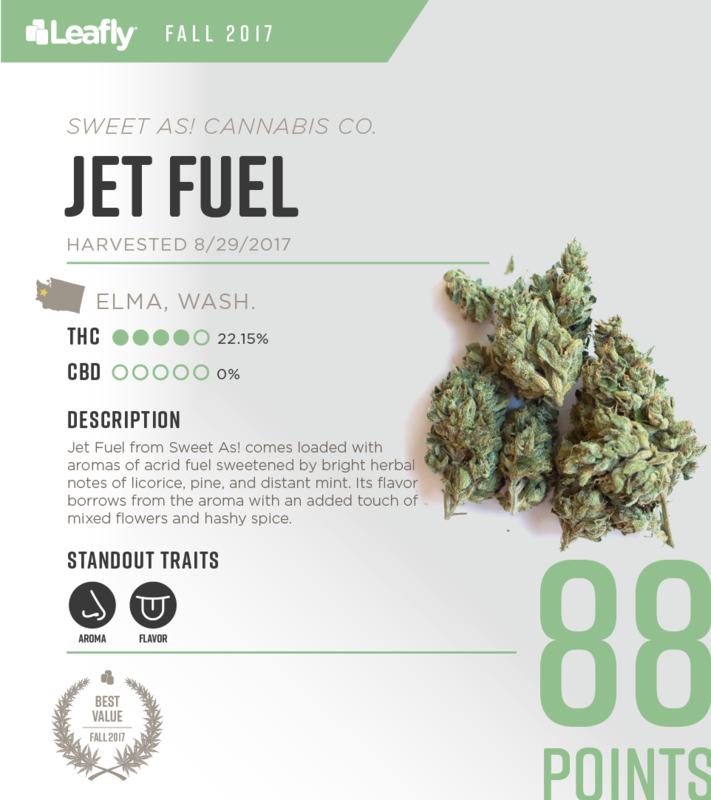 While we received several premium cannabis brands with premium price tags, Jet Fuel by Sweet As! managed to outpace the competition when it came to best bang for the buck. 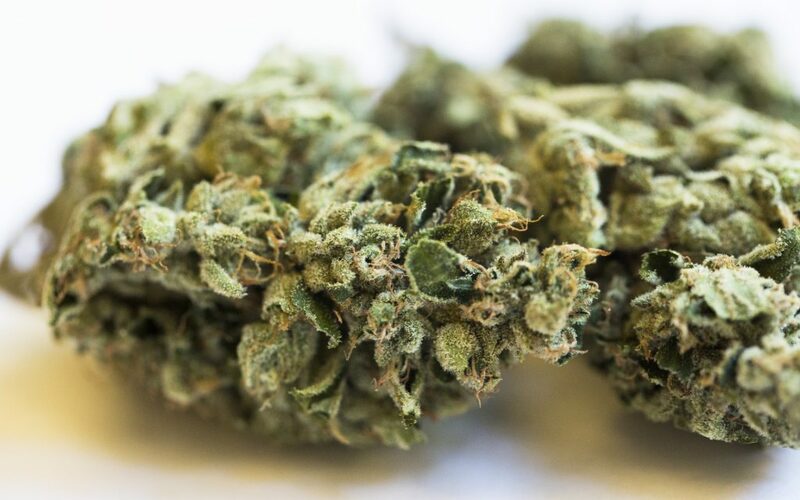 Coming in between $30 and $36 for an eighth, this sativa-dominant hybrid reeks of OG citrus and fuel with a surprisingly bright floral undertone. 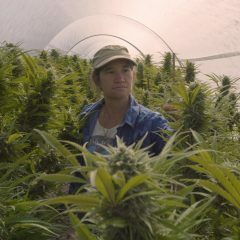 The buds were exceptionally cured and retained just enough moisture to be sticky on the fingers without being brittle in the hand. Jet Fuel’s bouquet explodes after grinding, giving off an even sweeter aroma of fruit snacks and woody earth. This particular batch was sitting between 22-24.5% THC, which is potency at a powerful price point. 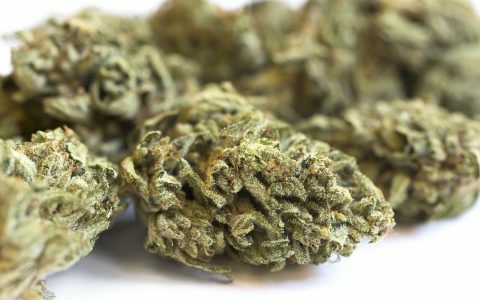 Personally, I would pay $40 for this eighth, but I’m glad I don’t have to. Effective, flavorful flower should not come at an exorbitant cost. 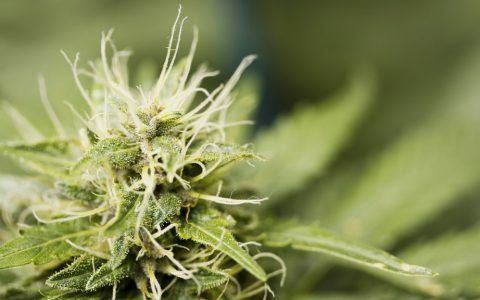 Artisanal brands will (and should) always have a place in the cannabis industry, but that doesn’t mean you can’t find great horticultural craftsmanship on a budget. 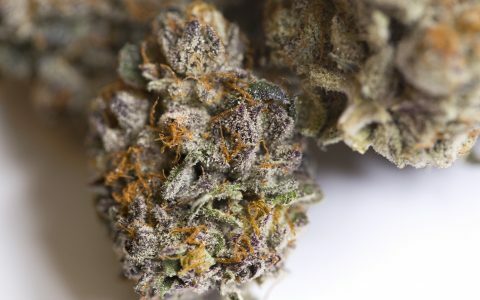 Be sure to also keep an eye out for Sweet As!’s Ghost Train Haze. This was another affordable, standout strain among the 31 flavors that graced our grinders last month. 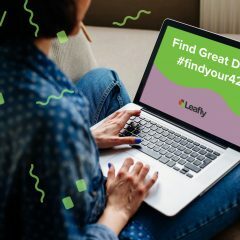 And for more fiscally responsible fire, check out Leafly’s dispensary locator for more deals near you.